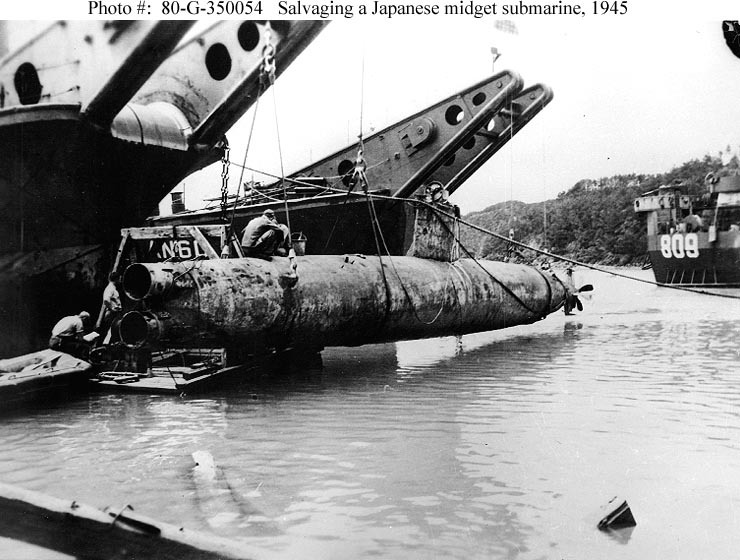 78'5" by 6'1" by 6'1"
The Type A midget submarine was originally designed in 1933 and operated off Chitose and Chiyoda. 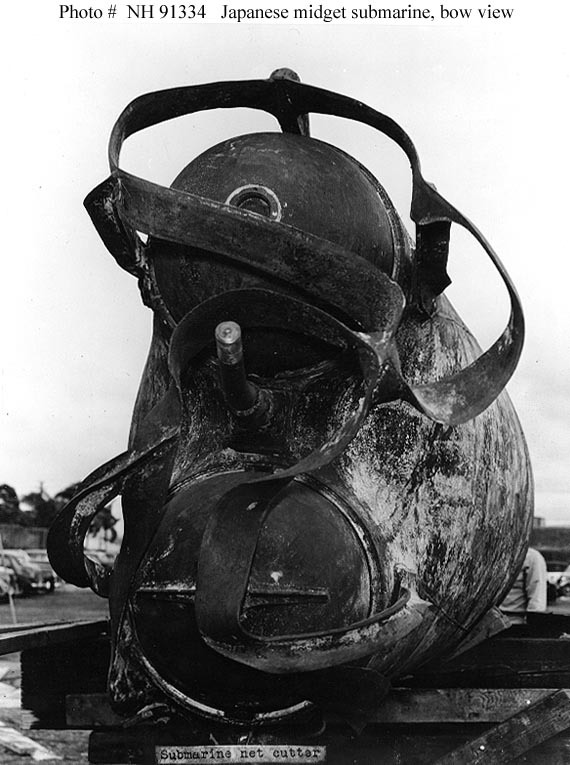 Built in total secrecy at a special factory near Kure, the midget submarines were used for special operations, such as the raid on Pearl Harbor. They were also used against Sydney and against Diego Suarez in Madagascar. 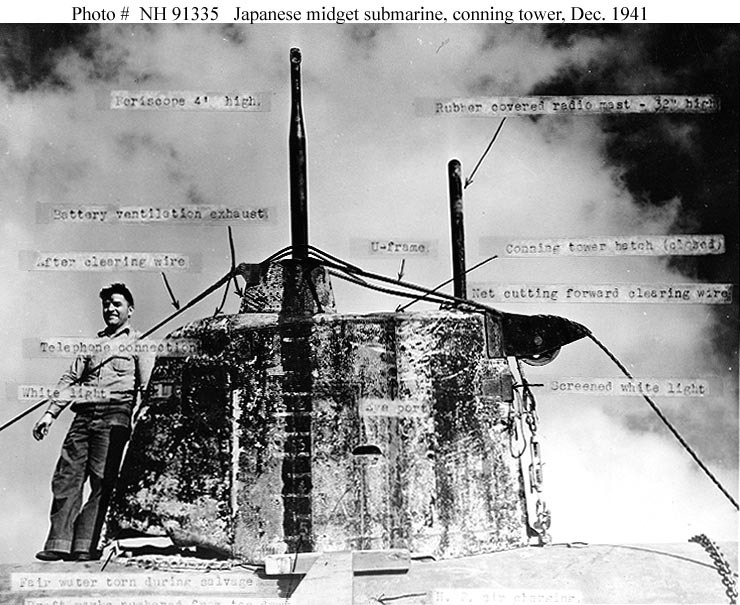 However, according to Japanese staff officers interviewed after the war, the midget submarines were not originally intended for use against heavily defended ports, but for the Great Decisive Battle. The admiral responsible for their development, Kishimoto Kaneharu, was deeply opposed to their use in the Pearl Harbor operation. Their designation came from their cover name ("Metal Fittings, Type A" or, later, "A Target"). Later in the war they became a coastal defense weapon. 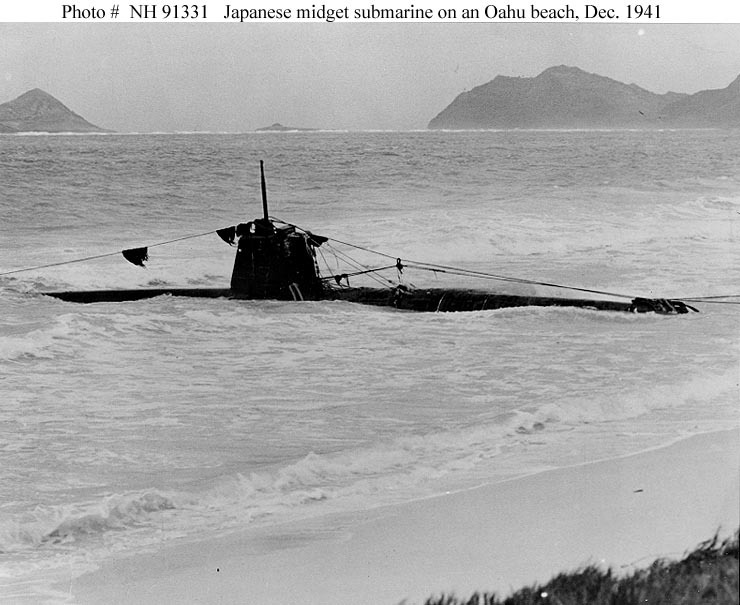 A detachment of six Type A midget submarines was sent to Kiska shortly after the Japanese occupation of the island, but were scuttled when the island was evacuated. These craft were of all-welded construction and had no provisions for recharging their batteries. Not could their batteries be recharged by their mother submarines. The U.S. Navy concluded that those salvaged at Pearl Harbor carried net wire cutters to help them penetrate defended harbors. About 46 of these craft were built by the end of 1942. Another 16 were apparently ordered but never completed. Four were lost at Pearl Harbor, three at Diego Suarez on 30 May 1942, 4 at Sydney on 31 May 1942, eight off Guadalcanal in 1942, and three in the Aleutians in 1942-43.